All of your favorites and maybe some suppliers you&apos;ve yet to try will be there! Mad Anthony, TAPROOM, Hops and Harvest, Briali&apos;s Winery, Tonne Winery, Country Heritage, and more will be there for the tasting. In addition to the wine and beer, there will be cheese provided by Kroger for attendees to munch on. Bravas and Affine, two of Fort Wayne favorite food trucks, will also be on site. 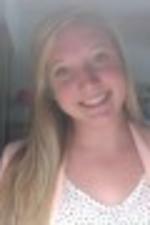 Jennifer Vanderpool, event organizer, adds, "This is a great event. Easy to get to and a great value for the price of the ticket. On top of that, the money goes back to a great organization. It&apos;s a win-win-win!" Junior Achievement has made a huge impact not only on our community, but on many others across the area. By taking their message into the schools, JA helps to empower young people to own their future economic success. They teach the tools and attitudes necessary to ensure our youth is prepared for the wider world once they enter it. With programs like Biz Town and Lincoln Finance Park here in town, JA is able to offer our kids a chance to gain valuable information in fun, outside of the classroom settings. 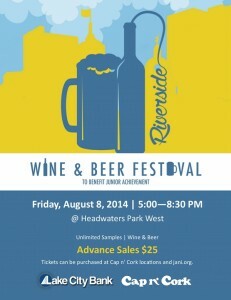 The Wine and Beer Festival is sure to be a great way to spend a Friday night. Enjoy some fellowship, great music, and even better wine and beer selections. You won&apos;t want to miss out on this opportunity! Tickets can be purchased before the event at any Cap n&apos; Cork location for $25 and also at the door for $30.